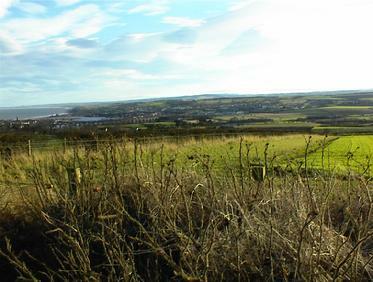 View of Berwick from Halidon Hill where that famous battle took place in 1333 with Regent Archibald Douglas in command of the Scottish army; reluctantly the Regent broke King Robert's directive to not engage the English in a large battle. 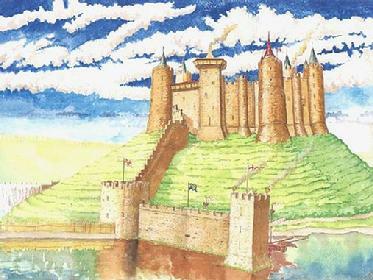 Sanquhar Castle was the site of a raid to rid the English from the marches...by William le Hardi in 1297 where he was later joined in the endearvor by William Wallace. 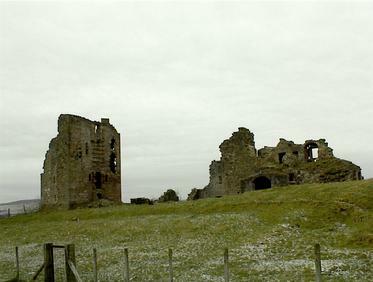 Crawford Tower now in ruins was the castle of Sir Alexander de Lindsay. 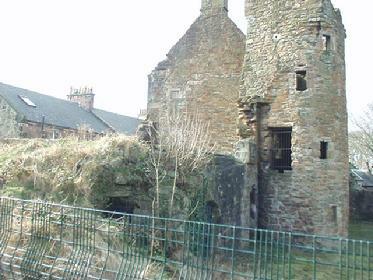 He also joined with William Wallace attacking English garrisons in Lanarkshire and Ayrshire . 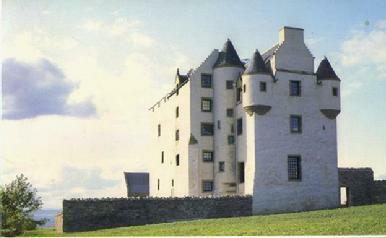 This castle was seized by the English in 1297 and later re-taken by Wallace. 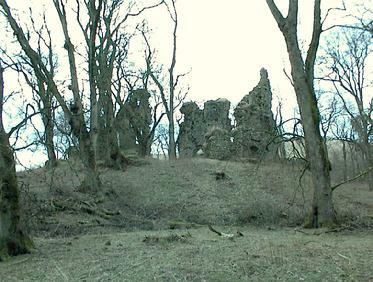 Fawside Castle in Tranent, East Lothians; this was the view of armed riders as they approached the castle in the wee hours of the morning. 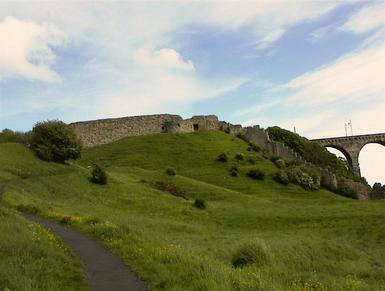 William le Hardi Douglas with his friend Baron John Wishart from the Mearns attacked the castle with armed horse to bring his betrothed Lady Eleanora to Kelso Abbey where they were married in 1288. 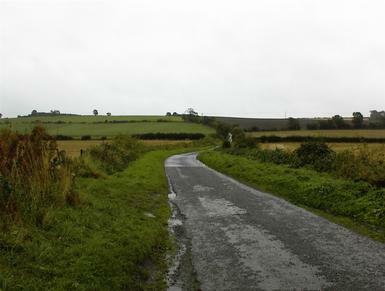 This photograph of Fa'side is courtesy of the current owners, Sue and Ian Brash; elegantly restrored, the views are 360 degrees of awe inspiring beauty. On a clear day even Ben Lomond is visible from Fa'side. Eleanora Lovaine de Ferrers was rescued by William le Hardi in a raid of the heart in 1288 from this old de Quincy barony then held by Elena de la Zouche. 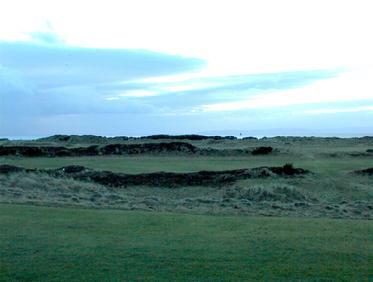 A site on the Ayrshire coast near Irvine Water believed to be the camp of William le Hardi. 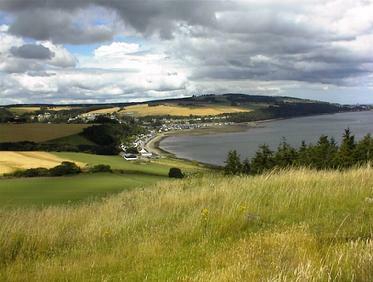 View of Avoch from Ormond Castle, stronghold of Sir Andrew de Moray, later called Murray; kin of William le Hardi Douglas; both held prisoners in the Tower of London in November 1297. A monument has been erected on the motte to remind us of the valiant young Andrew, son and squire of Sir Andrew, who bravely organized the staunch men of Moray to rebellion in 1297. 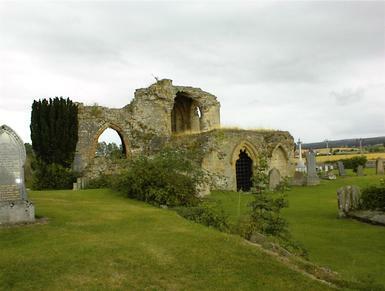 Kinloss Abbey was the site where many charters were witnessed in the shire. In 1249 William "Longleg" father of William le Hardi put his seal to a charter while visiting the family seat in Kinloss. 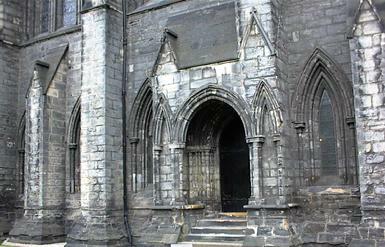 The back steps of Glasgow Cathedral; the meeting place of Bishop Robert Wishart and William Wallace. Chosen by the Bishop, Hugh Douglas was a canon of the church. The staunch, defiant patriot Robert Wishart, Bishop of Glasgow would buckle on his armor like a baron of the realm to drive out the insufferable Edward I. 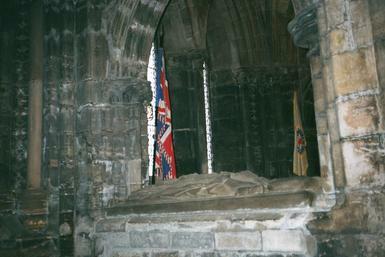 His headless effigy rests in Glasgow Cathedral lower church; someday soon a plaque should be erected to designate the tomb's noble patriot.